I’ve been exercising my self control pretty well lately. I haven’t checked on Kickstarter every week in my quest to find new indie gems in the making. But despite my best efforts, these games keep finding me. Luckily, this particular game I’ve finally had a chance to experience, as well as play recently, and I can’t recommend it highly enough. 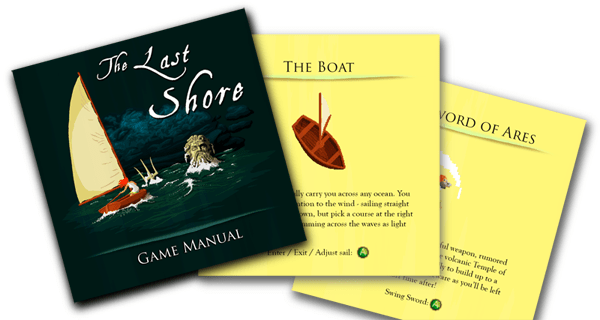 That game is The Last Shore by Pulpo Games. Since I’ve already spent a lot of time discussing the plot and gameplay mechanics, I will gloss over those real quick. 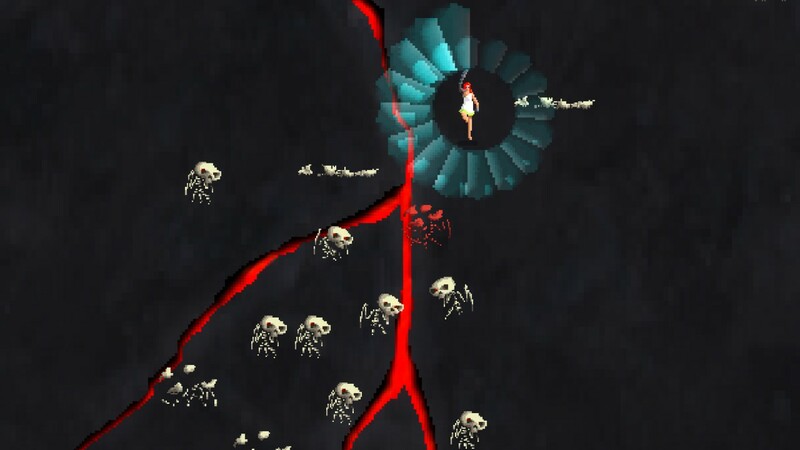 The game features an unnamed female protagonist on a quest to save her family from the wrath of vengeful gods. 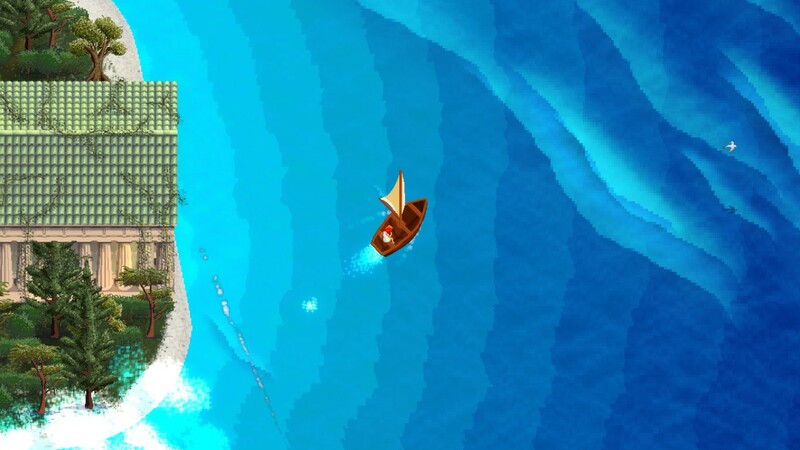 The world of The Last Shore is procedurally generated each time you play, but it always have a chain of islands you must sail to and from, as well as giant sea creatures to flee from. Gameplay is very intuitive and reminiscent of games like Shadow of the Colossus and The Legend of Zelda, and features many ancient ruins and temples to explore, as well as nifty artifacts to acquire and monsters to slay. To say the game has breathtaking pixelated art would be to do it an injustice, as the game is hauntingly beautiful, and that goes for the musical score as well. So, now that those details are out of the way, let’s get to the Kickstarter details. Thus far, The Last Shore is slated to release on Windows and Mac in late 2016. While I would love to play this on a console, the creator Andy Seavy does say that there are stretch goals in the works if funding goes that far. The nice thing is, if the final game is anything like the demo I played, it will support all controllers, and the game plays beautifully on a XBox 360 controller. The game has a very reasonable funding goal, and is only asking for $28,000. There are also a number of inexpensive tiers you can pledge your money at. If you don’t want to commit, you can support the game for only $2 (please note that you won’t get the game for that); a digital copy of the game itself is a mere $10, which is pretty sweet since so many games coming out lately are $30 and up; $15 gets you the game as well as a downloadable PDF manual; for those with money to burn, $75 nets you everything previously listed, plus your name in the credits, a PDF Making Of, which features early artwork and concepts, plus a T-Shirt; for $125 you get to design a small sea creature and for $500 you get to design an actual sea monster! While it’s true that I wish there were more tiers to pledge at, and I’m really antsy about those stretch goals, I think The Last Shore is a game well worth backing. It still has 29 days left to get funded, and it is currently sitting at about $2,500. While that does leave a ways to go, I’m confident that gamers will support this great game once the word gets out. Keep in mind that Pulpo Games has a lot of experience in the industry, and has already had a hand in several well known games, such as Plants vs. Zombies 2. If the demo is anything to go by, The Last Shore is shaping up to be a fantastic game. 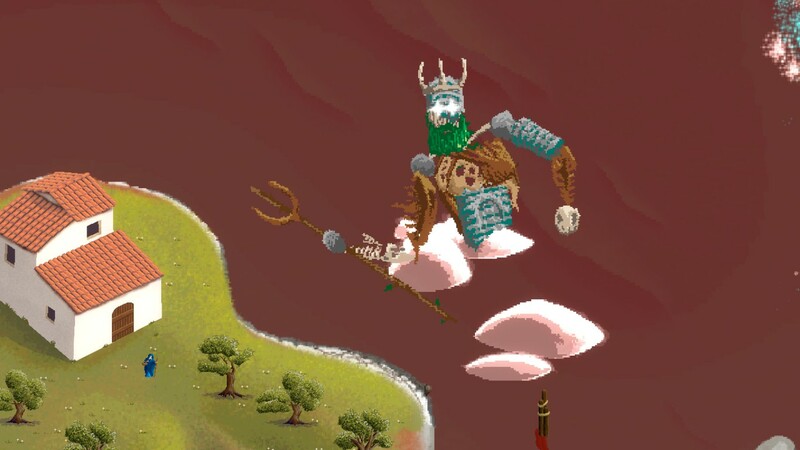 If it looks like your cup of tea, I implore you to check out the Kickstarter and tell your friends about it, and maybe even check it on Steam Greenlight. It would truly be a shame if this universe didn’t get fully realized.